It’s not so much the size of your workout area that matters — whether you have a corner devoted to yoga or an entire home gym. Finding the motivation to use your workout space is often the hardest part. 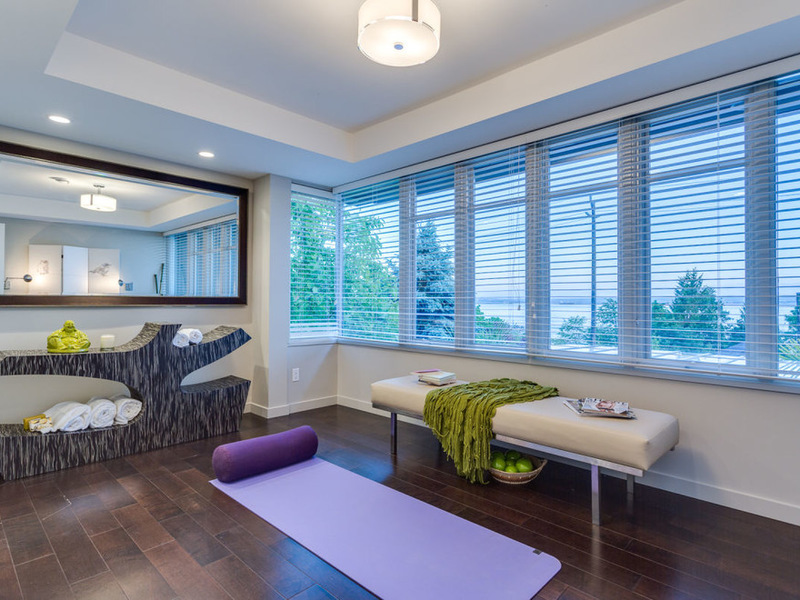 Here are 10 elements to give your workout space (and you) a jolt of inspiration. 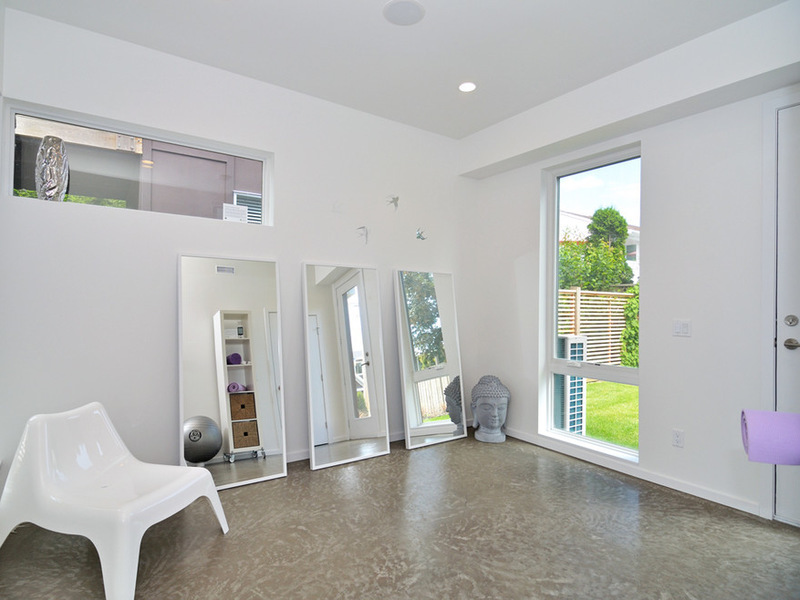 Mirrors are helpful for checking proper form when lifting weights or doing yoga, and can boost light in a space with few windows. But that doesn’t mean you have to install a gym-size wall of mirrors — try leaning a row of full-length mirrors against the wall for a budget-friendly option. Proper flooring can help prevent injuries, and an attractive floor will make your workout space more inviting. Hardwood floors can be left bare, but if you want a softer area for floor exercises, be sure to use a nonslip material, like firmly adhered carpet tiles. Avoid the pileup of weights and props by including shelving in your workout zone. Use sturdy baskets to contain smaller items. If you are using a section of a larger room as your home gym, a backless bookcase like the one shown here can do double duty as storage and space divider. If you are seeking a small-space solution, try using a kitchen or bar cart instead of a large shelving unit. A cart is compact but just large enough to hold weights and essential gear. 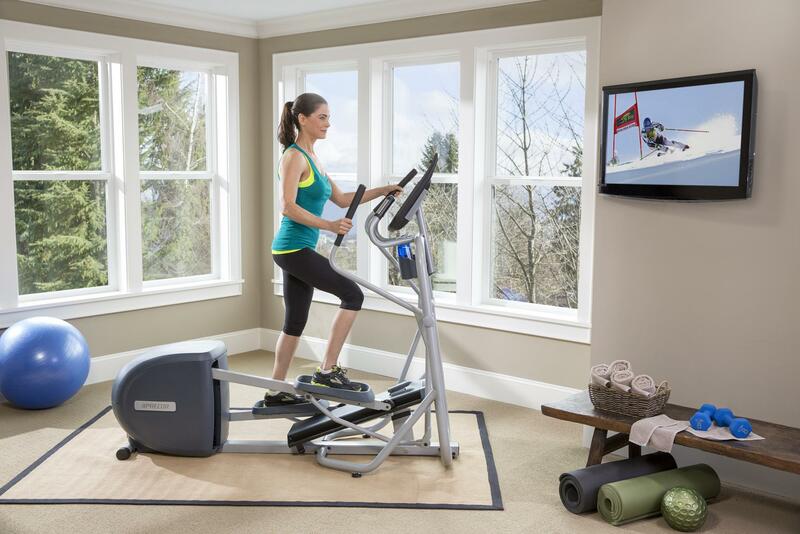 Whether you use instructional videos to guide your home workouts or just want to watch a show while doing cardio, having a TV in a home gym is a big draw. If a full-size TV just won’t work in your workout zone, a stand for your tablet can get the job done. Not so into TV? Crank up the tunes instead with a compact stereo that works with your MP3 player or phone. Boost motivation by taking the time to make playlists in advance that will suit the pace of your workout. Make it easier to reach for your water or adjust the music when doing yoga or mat exercises by including a low table in your workout space. If you meditate, this is also a good place to put a candle, an inspiring picture or a chime. One benefit of working out at home is that you don’t need to stick with plain bottled water. Experiment in the kitchen with refreshing additions like lemon or lime slices, fresh sprigs of mint or berries. Keep a carafe chilled in the fridge and grab it on your way to the workout room. Personalize your workout area with art that speaks to you. An oversize photograph (like the one shown here) makes a stunning focal point in a home gym; the bigger the better! For a budget option, have one of your own vacation photos blown up to poster size and pop it into an inexpensive frame from Ikea. There is something so motivating about a stack of neatly rolled, fresh white towels. Line them up on a shelf or nestle them in a basket — either way, they’ll make an attractive and useful addition to your workout space. Having a soft throw close at hand is a nice touch, especially in winter, when your room may be on the cool side. A bench makes a nice spot for resting and recovering at the end of a workout. Spectrum Merchandise caters state-of-the-art equipments from all over the world and has been supplying them to the likes of major gymnasiums, health clubs, housing & apartments and embassies. Spectrum Merchandise Pvt.Ltd has been dealing with health equipments for the past 12 years and makes customers know just what equipment would do the trick for them.